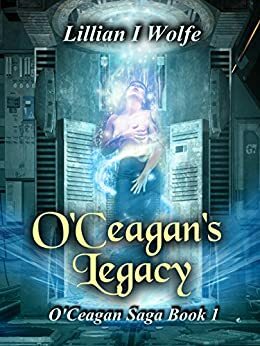 I need your help to have success with my new book, O’Ceagan’s Legacy! I am hoping to get enough nominations on Kindle Scout to get the opportunity to have it published through Amazon. What this means to me is possibly a publishing contract and promotion through Amazon rather than an independent writer publishing through the usual stream of self-published authors via my small publishing company, Pynhavyn. I will publish that way if this doesn’t work out for me, but I would sure love to be with a bigger house. Look at the information on my book and read the first three chapters if you’d like, then click on the Nominate button. If you aren’t logged in to your Amazon account, it will ask for your email address. Enter that and you’ve nominated me. Here’s the bonus: If my book is selected for publication, you will receive a Kindle copy free from Amazon when it’s released as a thank you for scouting the book. I was on the hot list for over a day, but I need more votes to continue to hit that list. You can nominate from now until March 12. Getting a publishing contract would be an awesome birthday present for me! You can do three nominations over the month, so while you’re at it, check out the details for some other books that you might like and help another author out. One that is out there now is a Young Adult by Shaunta Grimes, the author of Viral Nation called Wasted. Shaunta is a great author, so check it out. Here I am at the start of February and I still have lots on my plate, so to speak. I am a little disappointed with myself that I haven’t worked on my WIP, my young adult novel, since the first week of January. After the month before NaNo when I completed my fantasy novel and the month of NaNo where I wrote my paranormal thriller and started my YA, I had hoped to complete it in December, but got bogged down with the holidays and other projects. Then I wrote a little in January and started on the first edit of Funeral Singer: A Song for Marielle. The good news is that the first edit is completed and the book is now out with a few beta readers for the first feedback. I admit, I am a little nervous about setting my little bird free in the big, bad world, but I hope that the beta readers are enjoying it and will be gentle with the comments. But I also want them to be honest. Only if the feedback is honest will the writer grow and learn from the process. Yes, I hope people like the story and my writing, but I am not perfect and even the best attempt to catch all the problems in a story by the writer is not going to manage it. I’ve already found things in just glimpsing through it after I sent it out that I need to change or didn’t get caught in the edit. With the relief of the edit done and another project or two that had to be completed, I’d hoped to get back to the YA in January, but it didn’t happen. I just put it on my schedule for February with the hope that I can regain my writing pace and complete the first draft this month. As a side-project, I went back to trying to get the second novel I’d written way back when converted to digital form so that I can revise it and perhaps publish it this year. This one is a suspense romance along the lines of Mary Stewart’s novels. I typed a lot of it in, wished a few more times that my scanner had an OCR application on it and tried at least three times to use Dragon Naturally Speaking to read the book to the computer. More about this in a minute. I did finally finish getting that novel into digital form this past week, so that’s another in the queue to rewrite. I have been productive over the past two months, so that’s the good part. I’ve also taken on a beta read/editing for another writer and that is always an interesting project. His story is good, but it needs a lot of work. I’m catching many punctuation and spelling errors, but also quite a few other issues. I try to beta and edit the way that I hope that my beta readers will with me. When something puzzles me or causes me to stumble in the reading, I make a note of it. When the phrasing is awkward or confusing, I suggest changes or point out why it bothers me. I think all writers have their blind spots when writing. I know I do and I sometimes cringe when I read it through a month or so after writing it. But while editing for someone else, I think you also become more aware of your own faults in your writing. You see something the writer has done and realize that you also do it or something similar to it. So you learn from the process as well. I have to talk about this experience a little bit. I am on my third version of the program and I have resisted buying any more updates, although there are at least three newer versions of it now. When I bought my current copy, version 10.0, it was a vast improvement on how it handled the interpretation of my words, but still not perfect. For those who don’t know, you need to “train” dragon to your own speech pattern, so you read pre-designed texts to it so that it can learn your pronunciations and speech rhythm. In spite of that, Dragon often stumbles when I try to read my own writing into it. I think I enunciate pretty clearly, but sometimes it seems like the program makes a wild guess at what you just said because the words it types are so far off. Using the program has been challenging and oft times frustrating for me. I have given up more than a few times and returned to typing because I can type faster than the program can analyze, interpret, force me to correct and repeat the words. I have tried several different mics with it, hoping that it will work better with one of them. I just recently learned that it does better when I open the Dragon Pad (the word processing program within the program) than if I try to have it type directly into Word. I then copy and paste from Dragon Pad to Word after a couple of pages of text have been entered. After about one chapter, it begins to get sluggish, so I delete everything in the Dragon Pad, close it and reopen it and it performs better. I find it doesn’t recognize words that end in n’t very well and I have to pronounce them with “ent” in order to get them entered correctly, so “couldn’t’ becomes “could-ent” in order for Dragon to understand. I think voice recognition software has a ways to go to reach Star Trek capability. I admit, I was amused when the computer had difficulty recognizing Chekov’s instructions in the first reboot movie. So, that’s been my experience with the Dragon program. Have any of you used it? What was your experience? Tell me about it. Here’s to a great 2015! May all your projects come to fruition! It’s been about three weeks since I last posted anything, so first off – Happy New Year! We’ve started a new year and it’s filled with promise for the most part. Part of the promise for the new year is to revise the NaNo novel in January and I made that promise on the NaNoWriMo site, so I’ve been trying to get going on it. Unfortunately, January has been an extremely busy month so far with other writing projects that are not nearly as much fun and one that is kind of neat. But they’re all time consuming and brain cell burning, so it’s been a struggle to get to the revision. I even had a training course that I signed up to take this month and I’m falling woefully behind on it as well. Nonetheless, I’ve just managed to get started on the revision of Funeral Singer. So far, I have gone through and broken the novel into smaller chapters than I had originally, so instead of 17 chapters, I am now up to 30. Some of the chapters were covering a lot of territory and I think smaller chapters are often easier for readers to tackle as well as find a good stopping place for the night. Of course, if I do my job well, then my readers won’t want to stop for the night, right? I’ve also revised and edited the first five chapters now. It has been good so far and not too many changes in them. I’ve tweaked some words and phrases in various places, deleted a few things that aren’t needed and I think it’s a tighter read. If I can keep up this pace, I just might get through the revision by the end of the month. That’s it for this week. I’ll catch up with you again soon with another status report and possibly a background article.